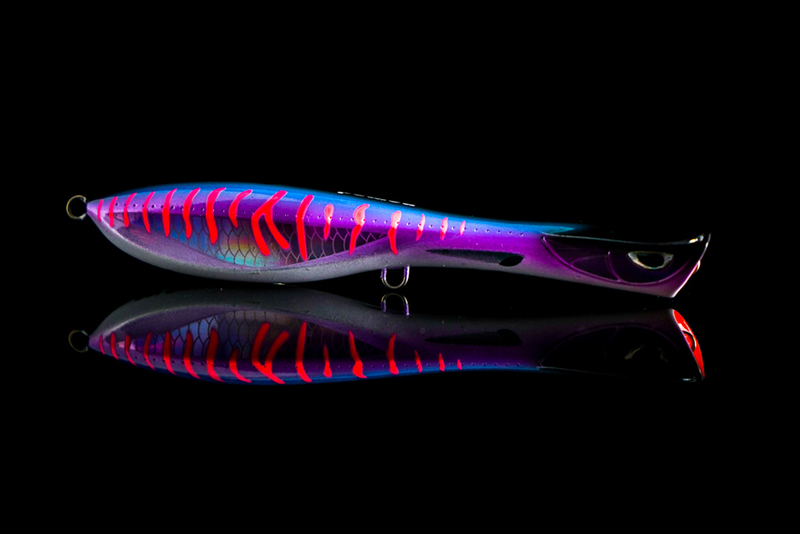 Dartwing Floating 165 - 6.5"
The Dartwing concept was created to mimic skipping baitfish, and entice any predatory fish to strike. Representing the ultimate surface skipping popper, the Dartwing’s unique Dartwing head design makes the lure dart erratically from side to side when wound across the surface, looking like a scared injured baitfish. It can be worked with a fast retrieve and also with a twitching rod tip action to make the lure bounce across the surface, where the Dartwing design creates maximum surface disturbance and side to side action. The 165mm Dartwing is ideal for tuna, mahi mahi, stripers, kingfish, yellowtail, bluefish and any surface feeding predatory fish. The super strong inline hooks, Gorilla Through Wire system and HD ABS construction all combine to make this a formidable opponent for even the toughest fish.